Cut to: Fun In Acapulco. 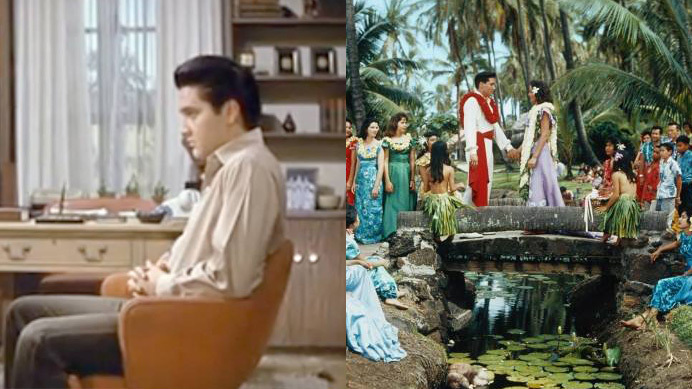 Well, I got through Blue Hawaii, and while it wasn’t particularly good, it wasn’t as bad as I’d expected. In fact, I even breathed a sigh of relief. Oh, how premature my exhale was. While I’d been pretty much enjoying myself over the past several films, there’s been one looming in the distance, like an ominous storm cloud slowly moving towards me: Blue Hawaii. The one Elvis film to rule them all. The movie that set the formula for all Elvis films after it, and supposedly marked the beginning of a steep decline in quality. 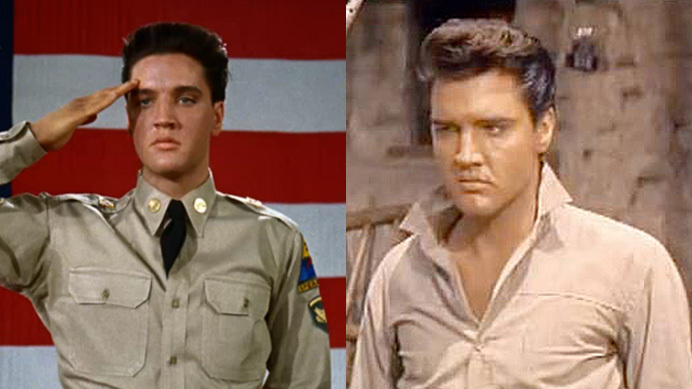 Okay, we’ve got the fluff out of the way and now we’re getting into two of what are hailed as Elvis’ greatest films. When last I saw you, I was young and naïve—I had decided to undertake the project of watching every single film from Elvis’ shocking large acting career. 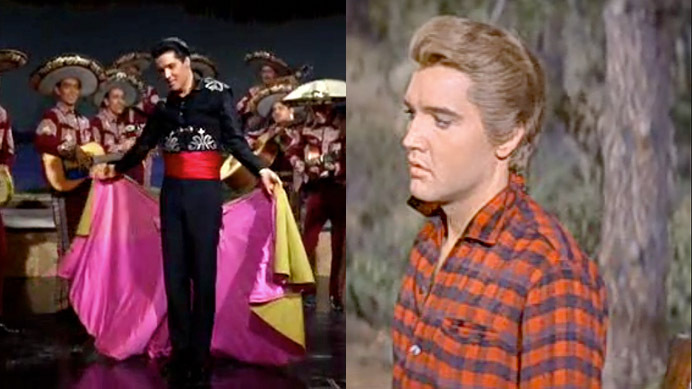 Now, four movies in, I would call this the blooming flower period for both Elvis and my Elvis enjoyment. 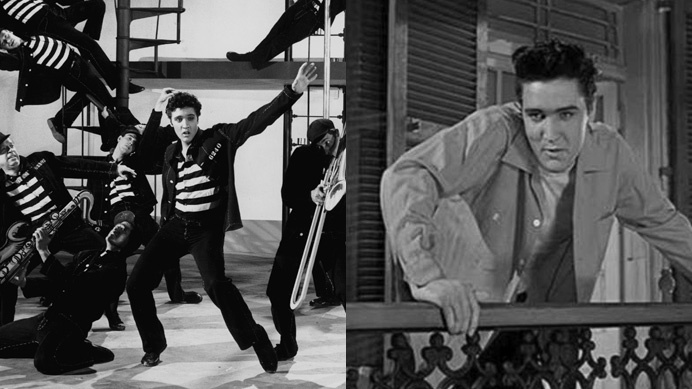 We’ve got Jailhouse Rock, probably Elvis’ most visually recognizable and iconic film—if you’ve ever seen Elvis in a striped shirt, or dancing on a set that looks like a prison, it’s from Jailhouse Rock. Then we have King Creole, which is an Elvis movie you’ve probably heard of people having seen. 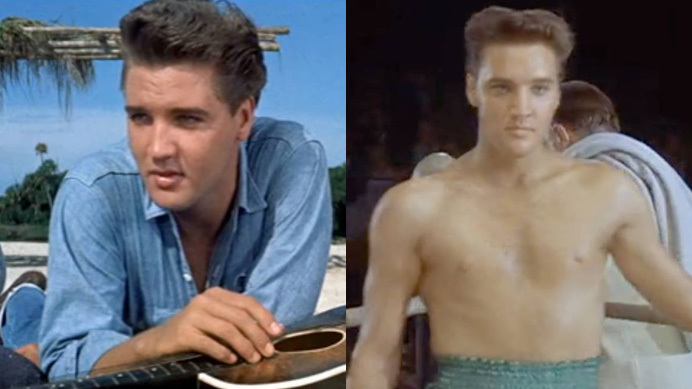 If you’re anything like me, you expect both of these to be the most Elvis-y Elvis movies imaginable—full of hips, guitar licks, and sneering lips. But you hold some reservation too, since the first two were such let downs.